The Ford Escape and Explorer are both in the Top Ten best selling SUV list for 2017. But the Ford Edge also deserves its chance in the spotlight. If you're looking for a good SUV that seats up to five, look no further. The Edge is more maneuverable and eco-friendly than the Explorer but more spacious and powerful than the Escape. The 2018 Ford Edge has got the blues--Blue Metallic and Lightning Blue, that is. They're the two new paint colors debuting this year. You won't find any major updates for 2018, but the Ford Edge does offer two new packages. You can now get the Sport Appearance package that darkens the Edge SEL for a more menacing look. For the conscientious-minded, the Safe and Smart package adds no fewer than eight active safety features. This package is available only on the SEL, Sport, and Titanium trims. 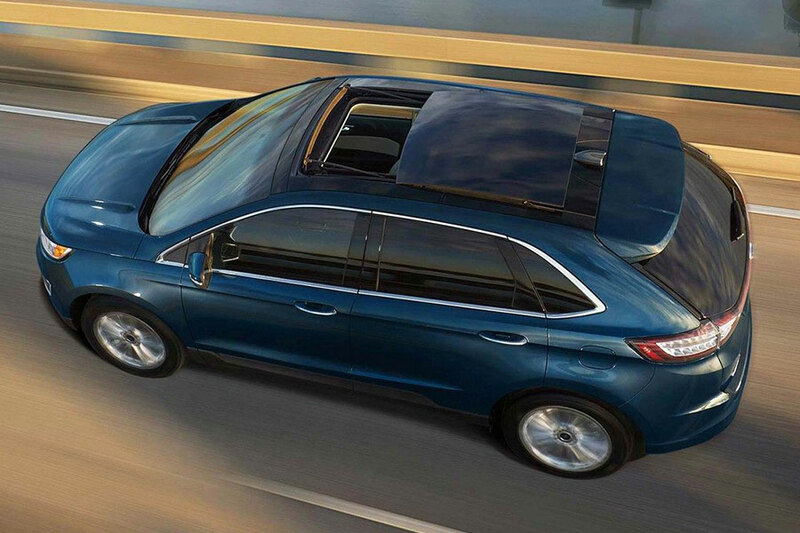 In nearly every description of the Ford Edge, you'll find some variation on the words spacious, roomy, or comfortable. 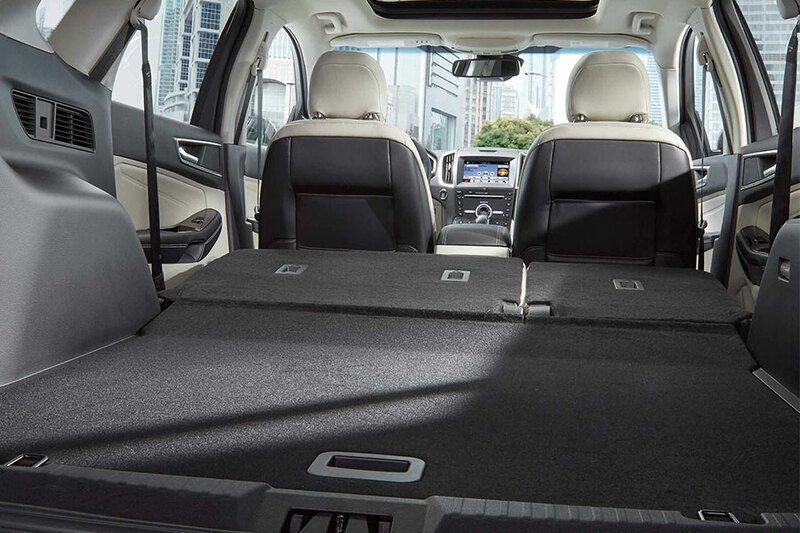 One of the distinct advantages of buying a two-row SUV of this size is all that space. No one will groan when they don't get shotgun. That's because you're looking at about the same head and leg room no matter where you sit. On top of that, the seats are form-fitting and oh so comfortable. Ford has managed to really cut down the road noise, so you get a serene drive. You'll also find high-quality materials throughout the cabin and more cubby holes and pockets than you'll know what to do with. Some might be scared away by the word midsize, thinking that anything bigger than a compact will be a gas guzzler. Put those fears aside with the 2018 Ford Edge. This Ford at its best gets better gas mileage than most in its class, including the the Hyundai Santa Fe, the Jeep Grand Cherokee, and the Kia Sorento. The 3.5-liter V6 engine gets 17 city miles and 26 highway miles per gallon, but we recommend the EcoBoost engine that improves those numbers to 21 city and 29 highway miles per gallon. A distinct advantage of not having a third seat, besides more leg room per passenger, is more cargo space. The 2018 Ford Edge holds 39.2 cubic feet behind the second row, or 73.4 cubes with that row folded down. That's enough room for a whopping 29 pieces of carry-on luggage. When they realize how much space is in there, friends may start asking you to help them move. If you'll forgive the Goldilocks reference, we believe the 2018 Ford Edge is just right. The Edge is not too big and not too small. You'll be able to comfortably fit your crew of five and all their gear but not pay for the privilege at the pump.